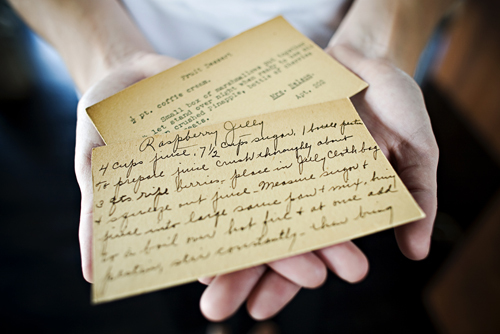 heirloomed is about curating wonderful things from the past to be preserved for future generations to enjoy. I do not limit heirlooms to furniture, jewelry or even family stories – but expand the concept to such topics as cooking for scratch, knitting, entertaining & etiquette, small towns you must visit, and more. Heirlooms are not dusty things of the past – they are ever so chic & classically inspired things to cherish for generations to come! I am so delighted that you have found us, and I hope that you will continue to share in our traditions & begin to create traditions of your own, to be enjoyed for generations to come. Ashley Leckey Schoenith was inspired at a young age by the surroundings of made-from-scratch birthday cakes, splattered family recipe cards and hand-sewn Halloween costumes. Born and raised in Tallahassee, Florida, Ashley is a seventh-generation Floridian with a deep love and appreciation for her Southern roots. Her passions include history, small towns and design with a special affinity towards combining antiques and classic design in a neutral, rustic palette. In 2007, Ashley founded IceMilk Aprons as a creative collaboration and a way to spend more time with her Grandmother, Cecile Marcoux. Cele was a masterful seamstress who previously had a line of luxury gentlemen’s ties, and was a delightful hostess made for entertaining. 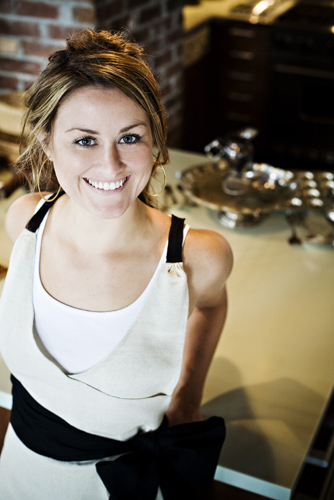 Ashley is currently the founder + heirloom designer of IceMilk Aprons, a gourmet line of heirloom aprons that has been featured by O The Oprah Magazine, The Martha Stewart Show, Southern Living, Better Homes & Gardens, Elle Decoration, Cooking Light & more. Alongside IceMilk Aprons, Ashley hosts this blog “heirloomed” that highlights beautiful traditions from the past, including such things as baking from scratch or setting a proper table, to ensure they continue through today’s generation. The blog features an Heirloom Recipe Series which showcases handwritten recipe cards and the stories behind them, memories shared as guest posts by foodie, Southern and artisan friends. And, our Throwback Thursday series which gives nod to vintage-inspired items that are chic today. Ashley also blogs over at neutral hue, a creative collaboration that highlights the beauty of a neutral palette found in everything from interiors to food to garden. Through neutral hue, Ashley’s neutral picks have been featured in Rue Magazine and she has had the opportunity to speak on creative collaboration at Lavish Conference in Atlanta, an unconference experience for lifestyle bloggers. Ashley currently resides in Atlanta, Georgia with her husband, Shane and dog, Kona. She enjoys baking, acoustic music and hosting brunch on occasion. Ashley is a graduate of the University of Georgia with a BBA in Marketing. Ashley is also president of the Atlanta chapter of the American Marketing Association. I found your blog at Martha’s blogsite. I too love history and traditions. I would like to link your site to mine so I can keep up to date on different ideas or thoughts you may have on the subjects. Keep up the good work on your site. And come take a look at mine anytime. Thanks. I am very happy to find your blog. As one who loves history, aprons and my kitchen…this was a great find! Thanks for sharing! Hi Ashley! I have nominated you to receive the Kreativ Blogger award! I hope you will check others who have received this and join in the fun! So glad to have discovered your work! Grew up in Rome and loved seeing your Possum Trot Church post! your business, Nikki gave me an Icemilk apron for Christmas. I love it, but wear it only on special occasions. I am so happy for you and wish you much success in your business. Would love to hear from you, too. Thank you so much for the nice note!I have been so fortunate to have the wonderful support & friendship of Nikki over the years and it is wonderful hearing from you. I hope you are enjoying your apron and greatly appreciate the well wishes! I hope you have a wonderful holiday – much love to everyone in the Schutt family!